Media interest in Lorde’s recent decision to cancel her planned concert in Tel Aviv has been intense, and New Zealand has been no exception. Over the holiday period, newsrooms are sparsely staffed and sometimes juniors are left to run the operation. This is perhaps a charitable explanation as to what has happened over the last two days at The Dominion Post, and on the Stuff website, both owned by Fairfax. On December 26, Stuff ran an Opinion piece written by entertainment reporter, Dani McDonald, which was startling in its misinformation and the writer’s poor grasp of the situation. Ms McDonald selected some twitter messages from people pointing out the inconsistency of Lorde deciding not to play in Israel but continuing her tour to Russia to make her point that “Israelis’ reactions to Lorde is exactly why she shouldn’t play there”. Ms McDonald’s writing suggests that any research she has undertaken on the complex Israeli/Palestinian conflict has been done from one-sided, fake, or extremist sources rather than credible, authoritative ones. How else does one explain patently false and hyperbolic assertions such as, “children killed for playing in the streets of Gaza”, “Unless Israelis enjoy living while bloodshed surrounds them, they ought to be proud of Lorde’s stance”, and “The blood of Palestinian children continues to flood the streets of Gaza”? Where does one even start to unpack such shocking statements? There is no mass slaughter of Palestinian children in Gaza, whether at the hand of Hamas or Israel. It’s simply a made-up, would-be, ‘eyewitness account’ concocted from some local newsroom and compromises the author from the get-go. Naively, McDonald suggests that boycotting Israel will “make one hell of a conversation point” and “encourage a generation of young Israelis to question” whether they should put down their guns. Apparently unaware of Hamas’s modus operandi, charter, and openly stated goals, Ms Donaldson overlooks the fact that if Israelis did heed her call to put down their guns, Israel would certainly be destroyed and much of its population wiped out or displaced. Perhaps even more concerning, the Dominion Post’s own editorial on December 27 praised Lorde for her “commendable” move and “political maturity”, while including a comment about Jewish political influence that contained more than a whiff of old-fashioned anti-Semitism. The starting point of the editorial appears to be a ‘taken-as-read’ view of Israel as uniquely evil and deserving of boycott. This in itself is an extreme position that places the Dominion Post well outside the mainstream internationally. It makes a false assertion that Lorde stands “shoulder to shoulder” with her country in taking this stand, which is not the case; New Zealanders are clearly divided about her move, with many critical and a majority of Kiwis being supportive of Israel. The Dominion Post editorial staff, like Stuff’s, appears to be unaware of the malevolence behind the apparently benign-sounding ‘BDS movement’. Proponents of BDS seek to isolate Israel from the international community, economically, academically, and culturally. They often compare it to the boycotts against South Africa that helped bring about an end to Apartheid. There would be far less controversy if Israel was an Apartheid State; but it’s not. BDS has been found by courts in a number of countries to be unlawful and discriminatory. In 2015, Obama signed a bill with bipartisan support that conditioned any free trade agreement with EU states on a rejection of BDS and over 20 states have enacted some form of anti-BDS legislation; in 2016, in a bipartisan vote, Canada passed a resolution that “calls on the legislature to stand against any movement that promotes hate, prejudice and racism” and “reject the ‘differential treatment’ of Israel by the BDS movement”; and in 2017 Munich became the first German city to send “a signal against antisemitism” by outlawing public funds and spaces to take part in BDS. In the last week, Norway and Denmark both announced limits on funding for nongovernmental organisations supporting boycotts of Israel. “Boycott creates distance, while the Norwegian government believes in dialogue and cooperation to create mutual trust as part of the solution to the Israeli-Palestinian conflict,” a Norwegian government statement said. While BDS activists claim to only want an end to Israel’s “occupation”, what many actually seek is the end of the Jewish State. Unlike the vast majority of the western world and the majority of Israelis and Palestinians themselves, BDS does not support a two-state solution, but works toward the end of Jewish self-determination. Accordingly, their activities place themselves squarely within the definition of anti-semitism adopted by the IHRA working definition of antisemitism as adopted by all 31 EU member countries, including the UK. 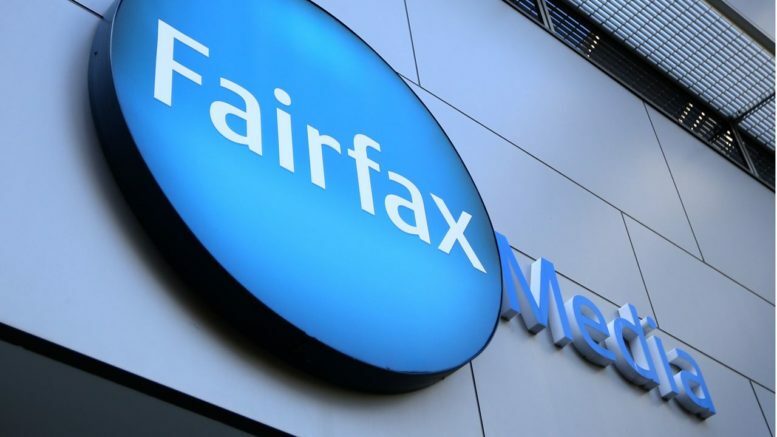 Fairfax’s NZ journalists, by backing BDS, have therefore placed themselves outside the mainstream of political opinion around the world and joined hands with extremists. This is a new low for New Zealand journalism.